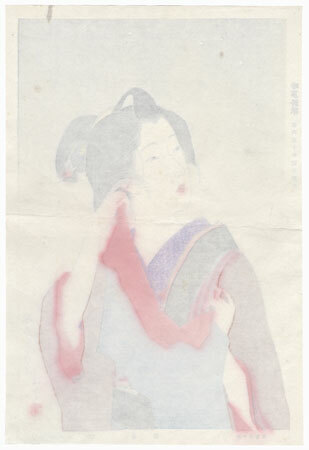 Comments - Lovely shin-hanga design of a beauty during a light snowfall, with just a few large flakes drifting down against the pale gray sky. She fastens the loop of a veil over her ear as she looks up at the snow. 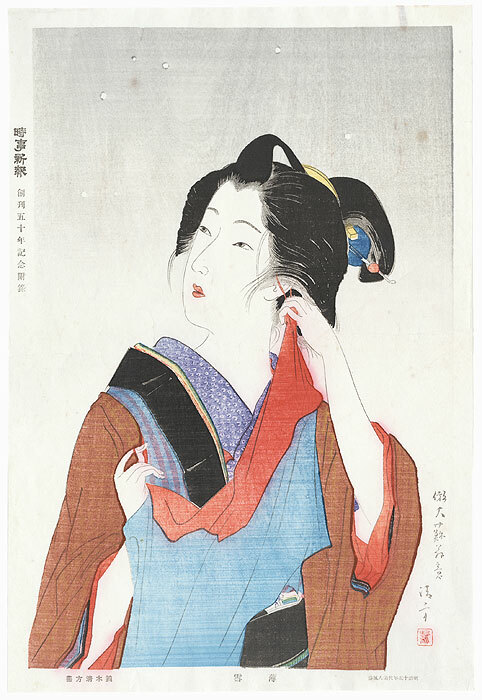 This beautiful subject was issued as a special insert by the Jiji Newspaper Company in a limited edition of around 150 prints to celebrate the paper's fiftieth anniversary. Beautifully drawn with a sweetly expressive face. 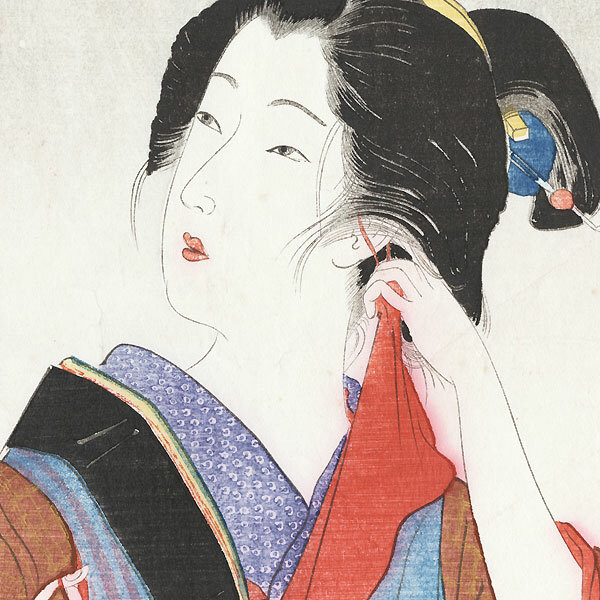 A very rare image from a series depicting beauties from different time periods, here a woman from Meiji 15 (1882). A great choice for a collector interested in shin-hanga prints. Condition - This print with good color and detail as shown. Horizontal centerfold. Slight soiling, creasing, and ink bleeding, stains. Please see photos for details.